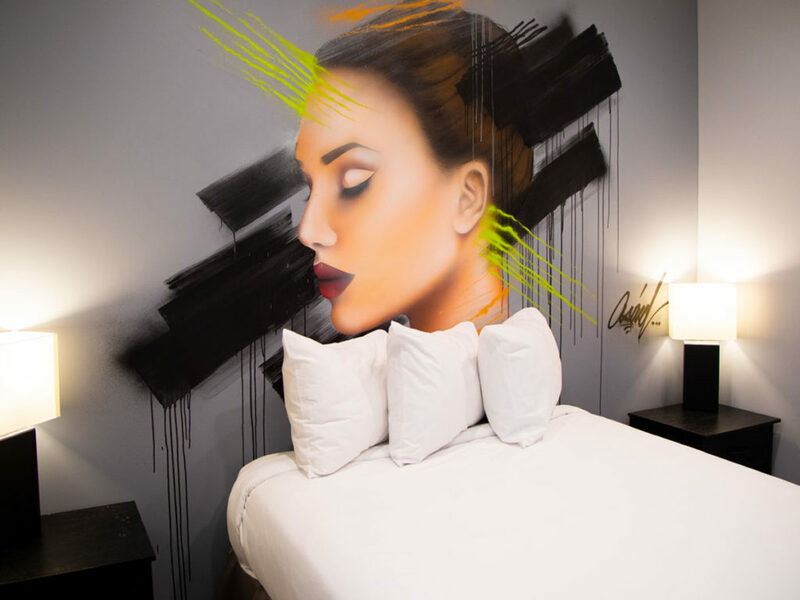 The boutique Hotel Chicago West Loop is swiftly making its mark as a cultural hotspot. 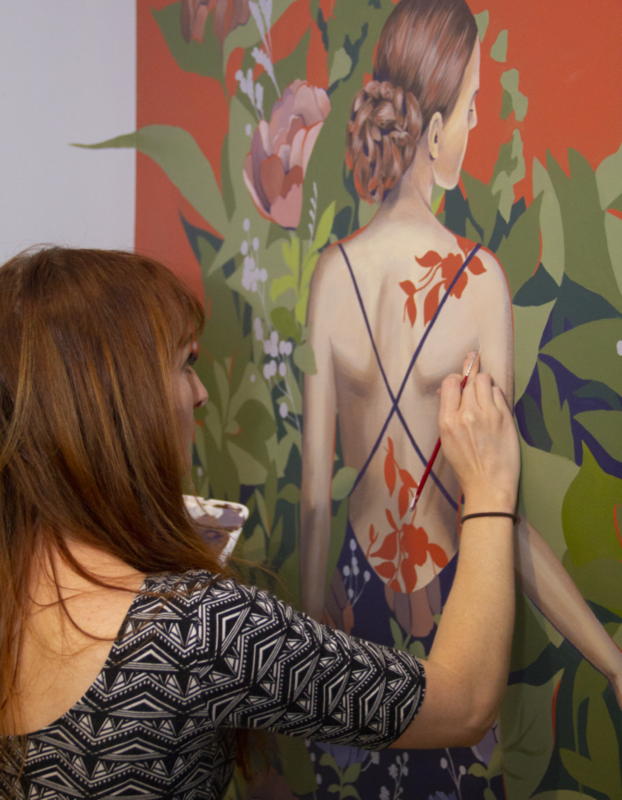 This fall the hotel celebrates its one-year anniversary as a dual-purpose arts venue with an unveiling of the latest additions to its renowned Annex | Murals program. 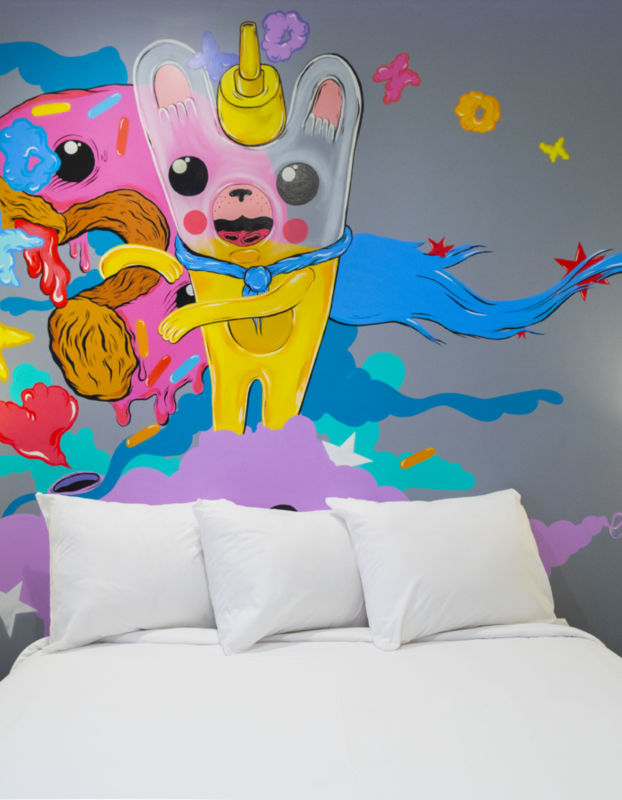 Four more street murals (painted inside guestrooms) were added to the growing Annex | Murals initiative by four of Chicago’s leading urban artists: Asend, Elloo, Brandin Hurley, and Josh Grotto. These works join two others made earlier this spring by Asend, who was brought back by popular demand, and JC Rivera, for a total of six unique street murals. The work of the diverse yet noteworthy artists can be seen around Chicago and beyond. Josh Grotto in the middle of painting his street mural for the renowned Annex | Murals program. 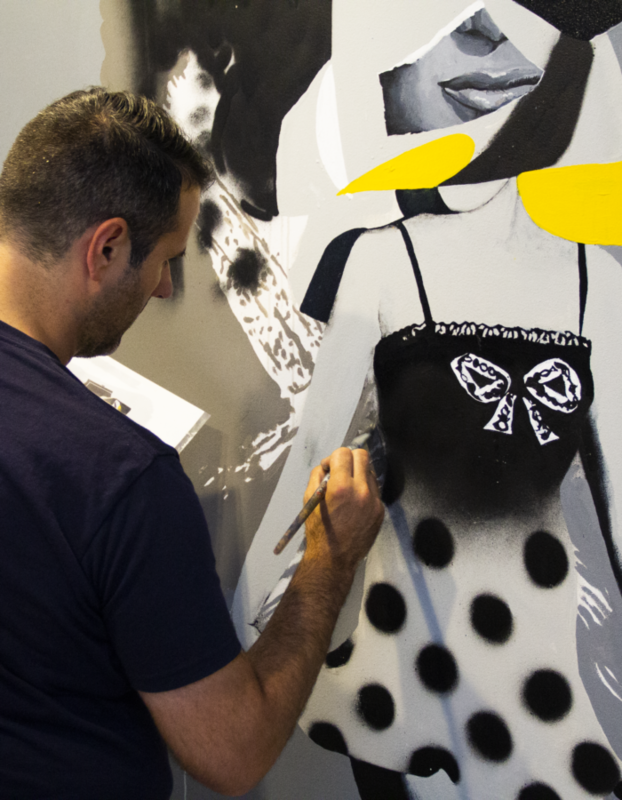 Brandin adding the final touches to her mural.